Mike Pannett was born in York and joined the Metropolitan Police in 1988. He became one of the youngest officers to be given his own patrol (in one of London’s toughest estates) and went on to serve on the Divisional Crime Squad, Murder Squad and TSG (Riot Police). He transferred to North Yorkshire police in 1997 as he missed the countryside – and fly-fishing. He became a rural beat officer and eventually, a wildlife officer. Mike served nearly twenty years in the police, and was, during his service, one of the most highly commended officers in the country. Mike’s first book, Now Then, Lad was serialised in the Daily Mail and featured in Amazon’s 12 days of Christmas promotion. It stayed in the Top Ten of the biography section and Top 50 for all books for the month of December. Mike’s books, published in trade paperback and mass-market paperback have gathered hundreds of five-star reviews on Amazon and have been enthusiastically received by reviewers, e.g. “Think 21st-century Heartbeat meets James Herriot with the occasional white-knuckle ride of The Sweeney throw in. All delivered with a Yorkshire twang,” The Telegraph. Following the UK riots in 2011 Mike became a key spokesman on current policing issues in the UK, giving extensive interviews on national UK radio and television. 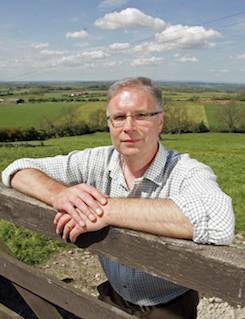 He lives with his wife Ann, who is still a serving police officer, and their three children in a small village in North Yorkshire. 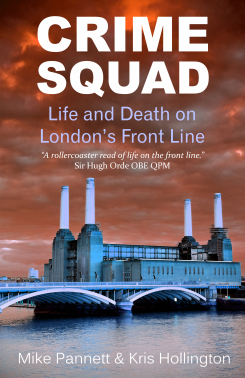 Mike Pannett’s sensational new memoir Crime Squad: Life And Death On London’s Front Line was serialised in the Evening Standard this week. The book has just been published by Thistle Books.